My fees follow the german act of payment for lawyers (RVG). The level of the one single fee is orientated on the amount in dispute. In several commissions in fields of criminal defense or business law the fees orientated on RVG are insufficient to cover the expenses for high-end lawyering. In this case, I will arrange an individual agreement based on an hourly fee or a lump sum with you. Furthermore you can ask for arranging a contingency fee, if your case is predestinated for such an agreement. Of course you can hire me as your lawyer consulting you out of court or representing you on trial even if you are indigent. I will fight for your rights and therefore file motions for court grants of legal aid. This is one out of many opportunities to arrange something with me as your lawyer, because in the federal republic of Germany the convention says that no one shall lose his rights for not having funds to assume his rights (Artikel 19 IV GG and Artikel 20 III German Convention GG). 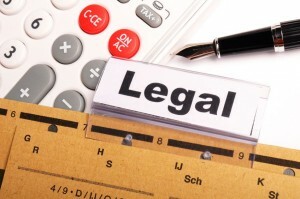 As your lawyer I will conduct the correspondence with your legal costs insurance.